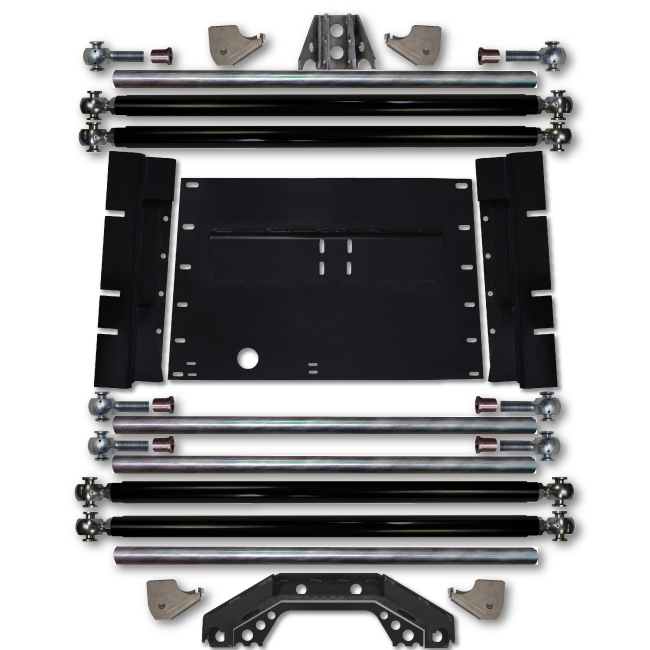 The YJ Trail Runner System is perfect for those looking to get the most out of your Wrangler. The wheelbase is stretched to 102 Inch. This is accomplished by an approximate 2 Inch front stretch and 6 Inch rear stretch greatly improving approach and departure angles. This wheel base, combined with the multi link design and tuned coilovers, makes your YJ great for just about all off-road conditions as well as street use. The approximate lift height supplied is 4.5 Inch over stock and is adjustable of course. Please make sure to review the requirements for the system and proper fitment before purchasing in the notes below.